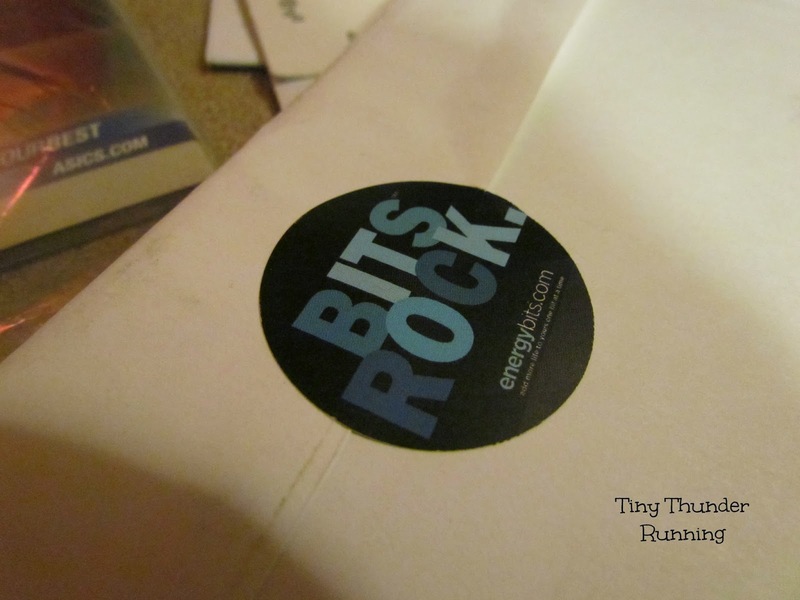 Thanks to Energy Bits for providing a complimentary sample for the purpose of this review as well as sponsoring a giveaway so that one lucky winner (USA ONLY, sorry!) can see what it's all about. Before I even go into the product itself, I just have to say how blown away I am with this awesome company.They really provide you with lots of literature when they send you a sample to review. I mean you can really feel the love and pride they have in their product. Not only this, but I love that they send you all the ins and outs of the seriously EVERYTHING you might want to know about this product before you put it in your precious body. In fact, I was almost overwhelmed with the amount of (amazing) info provided. Anyway, moving on to the product itself. I was honestly very a little worried when opened the tin and the smell kind of reminded me of fish food we fed our fishes as kids. I decided to not let it bother me and just see what happened. It was a little over a week until I actually tried them - didn't want to change anything before I ran my first half marathon. I started out with just 4-5 bits to make sure my finicky body didn't have some sort of strange reaction to it. All went well, so then I tried 15 (recommended dosage is 30 bits) on a night that I maybe got 3 hours of sleep (too much excitement! ), worked 8am to 4:30pm, scrambled home to get changed and attended my first crossfit class. Somehow I managed to make it through the day and even had energy to spare. Normally I would probably have come home after an intense workout and crashed. While this is single case, I still think I can honestly say that these little green bits helped keep me going. The taste (prior to washing down with water) really wasn't bad. Although, they say if you chew them they can taste pretty awful. Don't mistaken these for a supplement- they are not. They are food turned to an easy to ingest form- 100% organically grown spirulina algae. Apparently algae has been used for a long time among Olympians for over 50 years. Crazy right? "ENERGYbits have the highest concentration of protein in the world and deliver a steady stream of energy, all naturally and all without sugar, caffeine, chemicals or stomach distress. Even better, ENERGYbits are the only protein in the world that also contain natural antioxidants and Omega 3 which reduce muscle inflammation, iron which prevents fatigue, chlorophyll which builds the immune system and electrolytes which replenish mineral imbalances, all for just one calorie per tab. No other protein offers all this. " Just one of the awesome educational inserts Energybits provides. 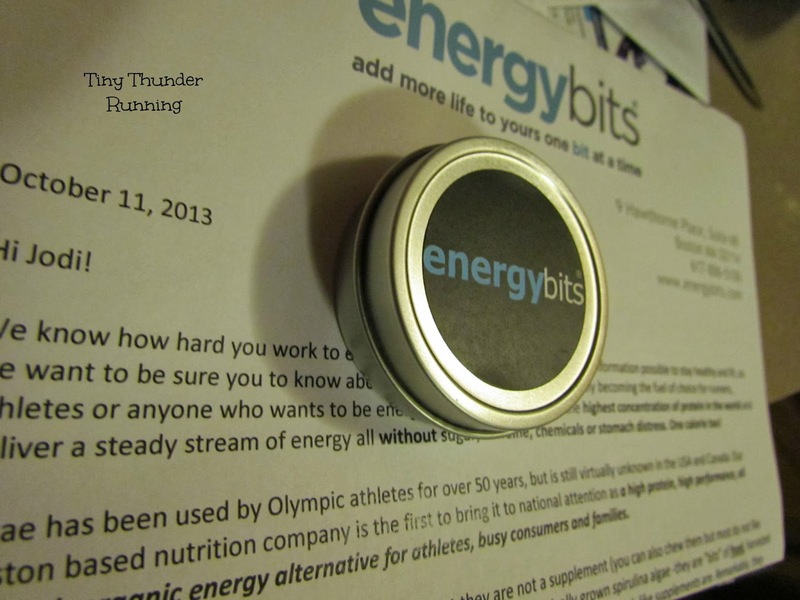 Thanks again to Energybits for this complimentary sample for the purpose of this review. I was not compensated for this post in any other way. I hope you enjoyed learning about this up and coming awesome product and enter to win your own chance to try them!